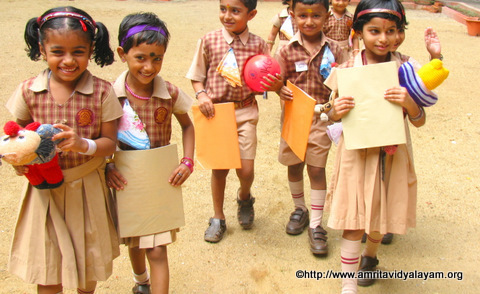 Amrita Vidyalayam, Secunderabad, a CBSE secondary school run by Mata Amritanandamayi Math, is located on Mahendra hills, next to the Brahmasthanam at Santhinikethan colony, East Marredpally in Secunderabad, Andhra Pradesh. The school is situated on 2 acres of land with buildings occupying almost an acre. The building comprises of two academic blocks.